Sisolak’s promised massive new spending without raising taxes. The money isn’t there. 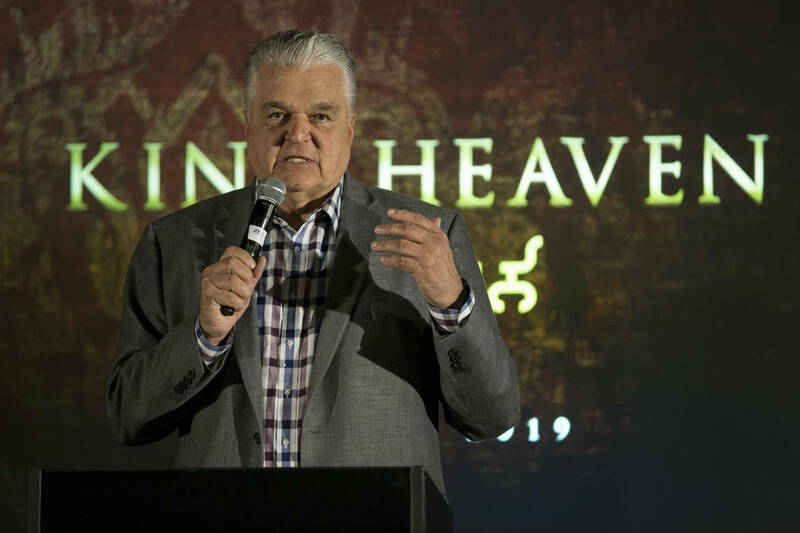 You’re about to find out who Steve Sisolak hoodwinked. Steve Sisolak, gobernador electo y Brian Sandoval, gobernador de Nevada, hablaron sobre los crímenes de odio y la educación. Jueves 15 de noviembre de 2018, en el hotel & casino Paris. Foto El Tiempo. 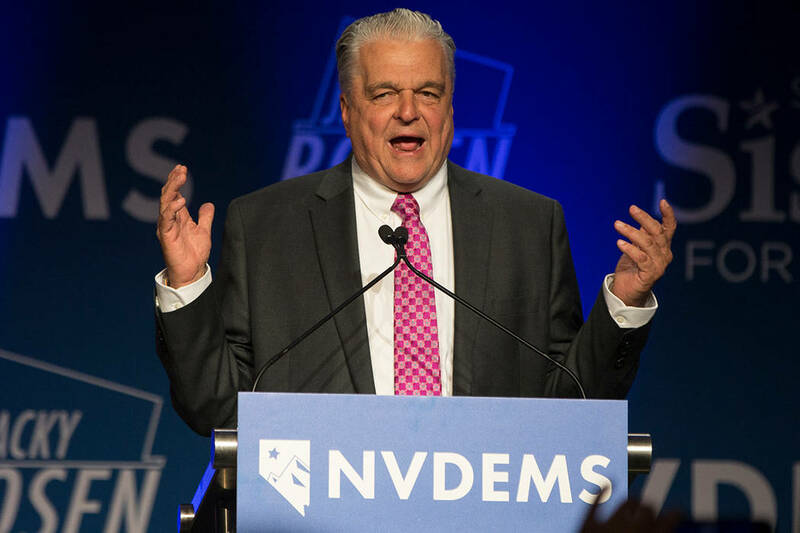 During his primary campaign, Gov.-elect Sisolak promised massive spending increases in education, Medicaid and state employee pay. He never said how he would pay for it. In a primary debate, he said, “Everything is on the table” regarding tax hikes. But that changed during the general election. 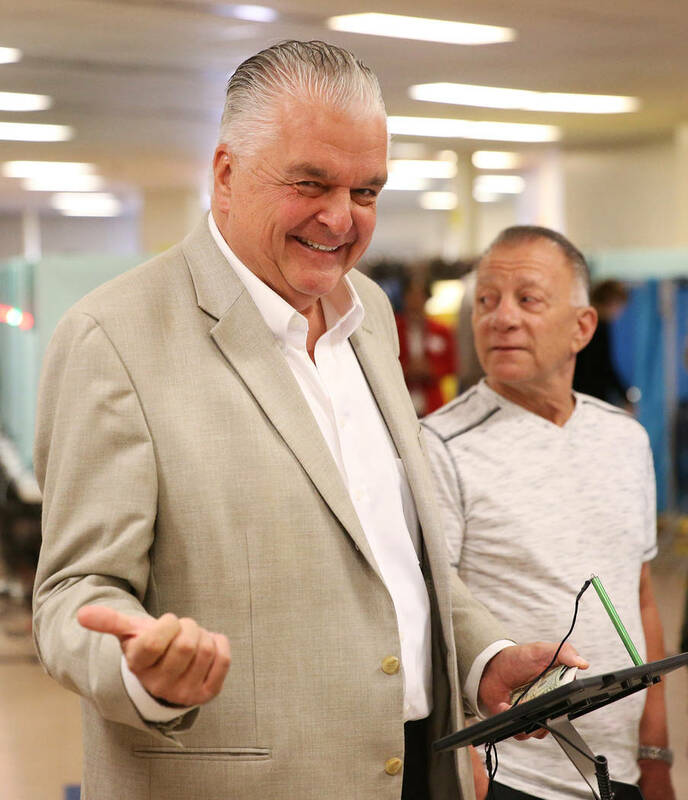 “Right now I do not see a reason why we’d have to propose any new taxes or implement any new taxes,” Sisolak said in September. The Economic Forum meets Monday to project how much revenue will come in over the next two years. 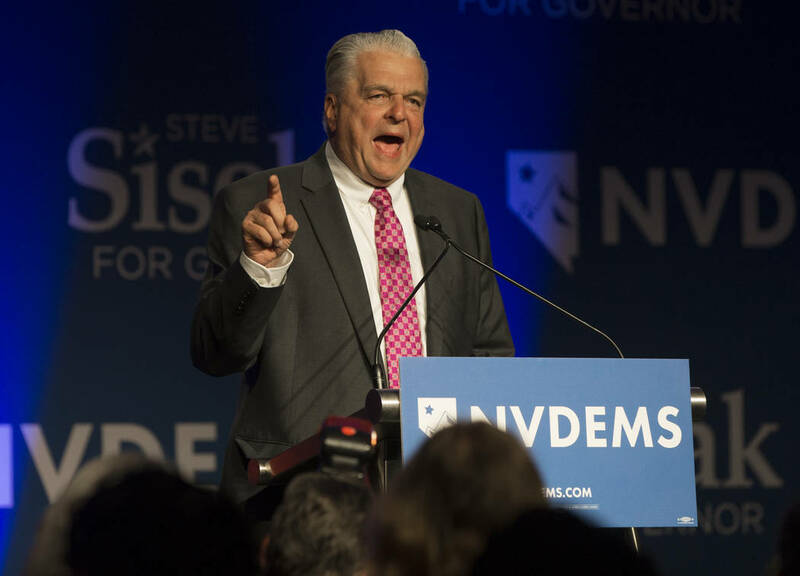 As governor, Sisolak is bound by those forecasts when crafting his budget proposal. Preliminary indications show he’ll have around $8.8 billion. That’s a sizable increase over Nevada’s current $8.1 billion budget. That should make it easy to balance the books — unless you’ve just spent the past year promising hefty funding increases. Last week, Gov. 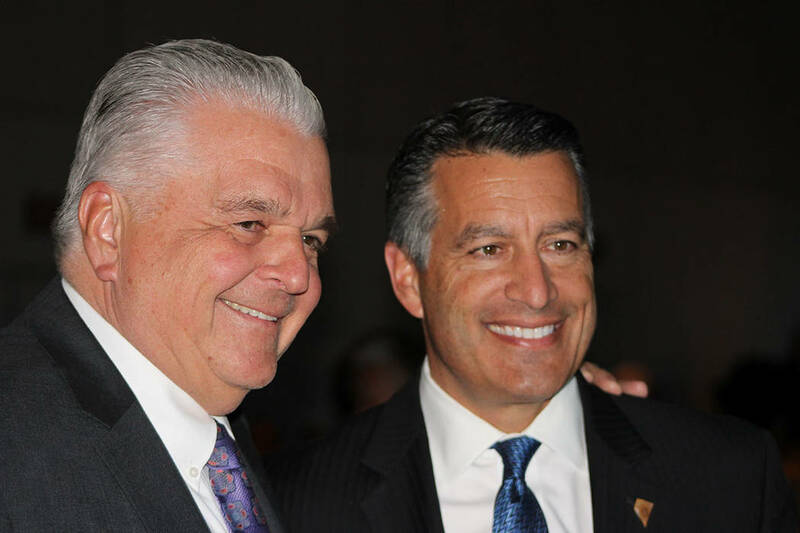 Brian Sandoval released his spending blueprint, which Sisolak can freely modify. It contained some of Sisolak’s priorities. There was $210 million to maintain the Medicaid expansion. Republican gubernatorial candidate Adam Laxalt favored work requirements for healthy adults on Medicaid, which would have saved money. They aren’t included. Bureaucrats consider some government spending hikes automatic. For education alone, that increase — or “rollup” — will cost $339 million. In the real world, that’s a huge increase. To Sisolak’s supporters, however, that $339 million is the equivalent of zero new spending. Then there’s what’s missing from Sandoval’s budget, such as cost-of-living increases for state workers. Sisolak advocates collective bargaining for state employees, which means taxpayers will get soaked for a lot more. Collective bargaining is why Nevada has some of the highest local government employee compensation in the country. For years, Nevada Democrats have sought a weighted funding formula for education. That would give more money to school districts for students in certain categories, such as those who are low-income or learning English. Sandoval proposed increasing weighted funding from $36 million to $70 million a year. But the cost of the program proponents want is at least $1 billion. It’s unclear how much Sisolak’s promises to reduce class size and increase Medicaid reimbursement rates would cost. What is clear is that Sisolak wrote proverbial checks Nevada’s budget can’t cash. So what does he do? He could raid Nevada’s rainy day fund for a one-time infusion of $300 million. He could redirect money from higher ed to K-12. He could push for a bill authorizing local governments to raise taxes for education. He could insist that state worker collective bargaining not kick in until the next legislative session, temporarily relieving him of having to pay for it. He could also find several hundred million dollars by gutting Sandoval’s education legacy. Sandoval used categorical funding for things such as Zoom and Victory Schools and Read by 3. 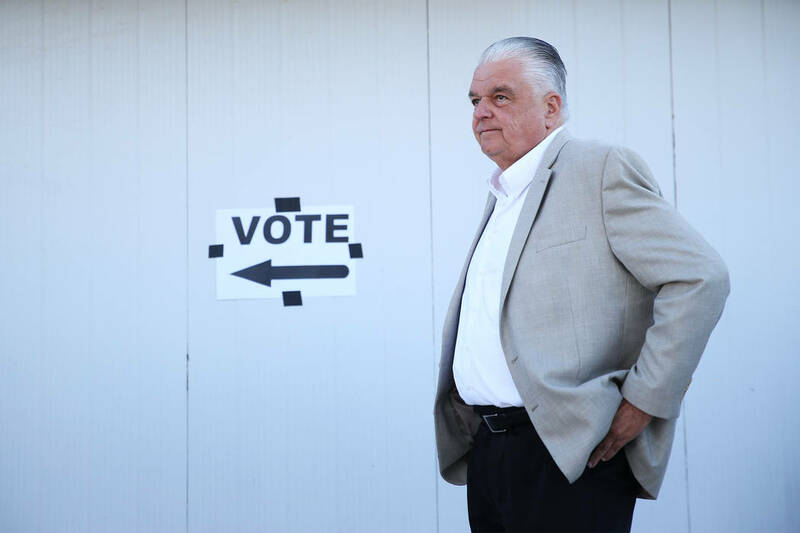 Sisolak could eliminate those programs to give school districts more unrestricted funding. Combine those new unrestricted funds and collective bargaining, and we’ll end up paying the same people more for doing the same thing. That’s exactly what the teachers union wants, even though this would do nothing to improve student outcomes or test scores. Or Sisolak could look at the numbers and decide he has a reason to call for tax hikes after all. Contact Victor Joecks at vjoecks@reviewjournal.com or 702-383-4698. Follow @victorjoecks on Twitter.